After our invigorating retreat amongst some of Bali's beautiful rice paddies and black sand beaches, we moved on to Ubud, an hour and a half away. Last year, we stayed at the beautiful Villa Shamballa, but as it only has room for one couple and we came with friends this time, we decided on another villa - Amrita. Only a ten minute drive from the centre of Ubud, Villa Amrita has 3 bedrooms and can sleep up to 6 guests. Each 'room' sits in a separate wing with its own en-suite, as does the main living/dining room. 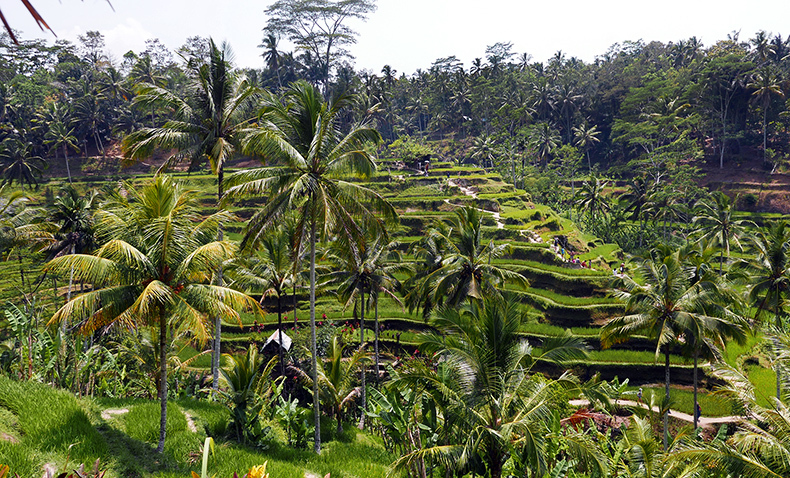 Ubud is a hippie's paradise; trendy cafes, clothing boutiques, yoga classes and art stores galore. Yes, it's full of tourists, but it's worth visiting if you're looking for a lively, modern, artsy experience during your time in Bali and want to avoid the more raucous, party-mad tourist areas such as Kuta. Ubud is known as the art centre of Bali, and it's here you're likely to find souvenirs for loved ones; handmade lace; crafted sculptures; local paintings and so on. The town centre is also great for trying out more modern, international cuisine (as well as, of course, still offering up plenty of local delights). I will say that most places in Bali, in general, aren't great for cocktails if you're the more discerning type (*cough* a Londoner or New Yorker, say), but they do produce local wines, which are worth a try! 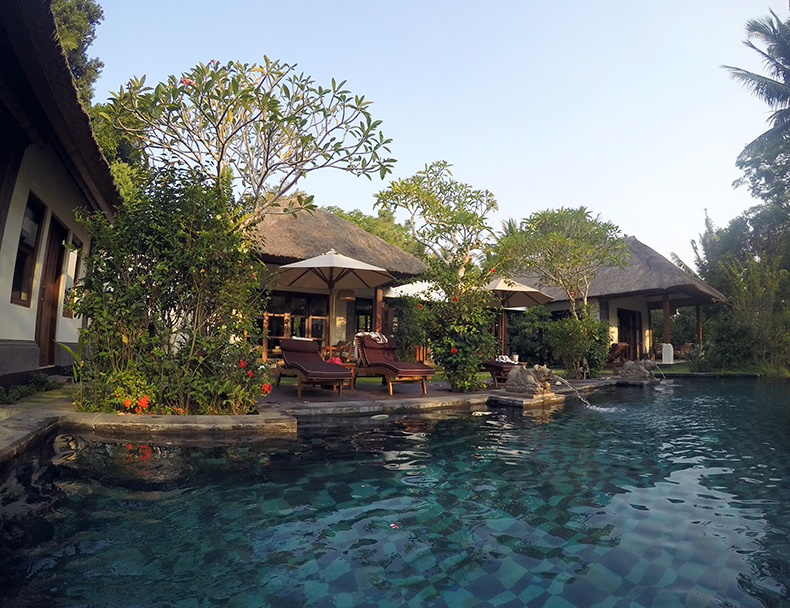 Personally, I always think it's worth it to stay a few nights in Ubud. It offers a more social, animated contrast to other areas, is easy to get around and is great for a spot of shopping, plus there are beautiful rice paddies, temples, waterfalls and mountains worth visiting within 45 minutes (or less) drive away. Also....Naughty Nuri's, look it up. Naughty Nuri's Warung - best ribs ever. Also offers a mean gin martini. Bebek Bengil/ Dirty Duck Diner - lots and lots of crispy, fried duck. Nothing mind-blowing, but certainly satisfying. Spice by Chris Salans - tapas style fusion food made with locally sourced ingredients. Swept Away at Samaya - go here! Incredibly romantic setting and fantastic food. Gingersnap boutique - a very cool brand, the designer splits his time between Paris and Bali and his designs seem to be inspired by Japanese style. Tukies (The Coconut Shop) - everything coconut. The best coconut ice cream. It's dangerously good. Seniman Coffee - great coffee! 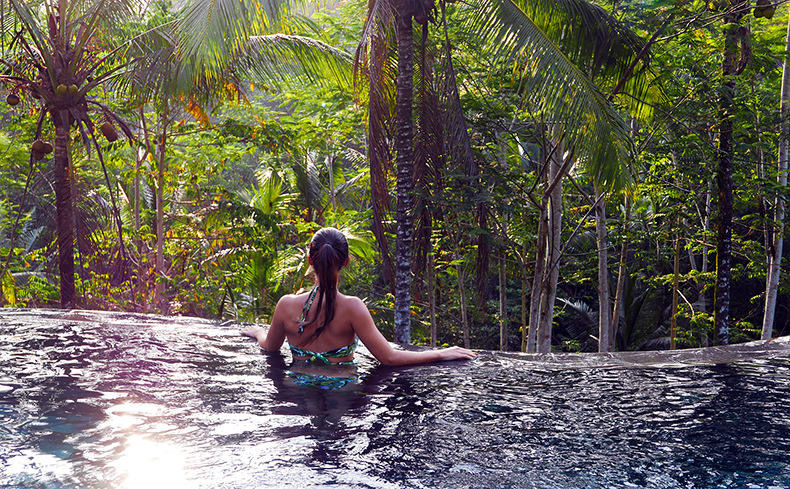 Have you been to Ubud yet? If so, any other recommendations? So beautiful Kamara!! Adore your travel pics - always fab, never touristy! Oh my goodness... just look at that view. I am so in love with it. And the food is also incredible. I hope you are having the time of your life Kamara. Your pictures are always so dreamy! You pictures are really really nice! It definitely makes me want to travel!